It is a light brown tsuyu which is made from light soy sauce(usukuchi) and dashi prepared from kelp and dried bonito. It has a rich flavor of dry bonito. You can easily enjoy kansai(west japan) style udon at home. Of cause you can also use it for other dishes besides udon. 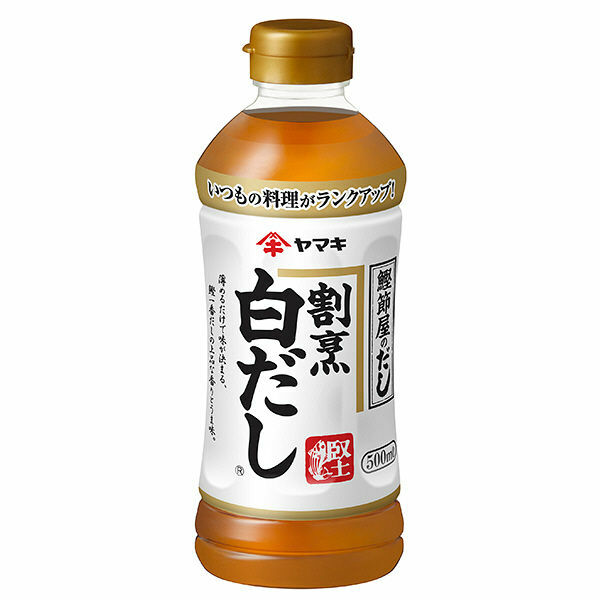 Dilute this sauce with water 7times for hot udon, 8times for nabe and oden, 9times for soup.